Almost half of the country is O+. DONATIONS OF THE most common blood group in Ireland are down. 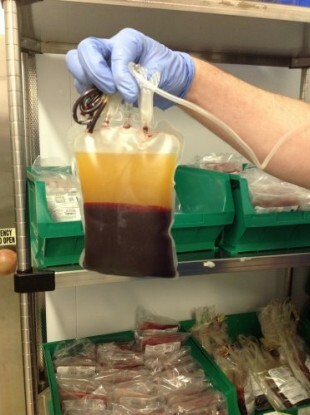 The Irish Blood Transfusion Service are asking people who are O+ to make a special effort. 47% per cent of the population is O+ and donations are down at the moment so if you O+ please make a special effort to give blood this week. For a full list of where and when you can donate blood in your area go to the Irish Blood Transfusion Service website. Email “Stocks of Ireland's most common blood group are down”. Feedback on “Stocks of Ireland's most common blood group are down”.